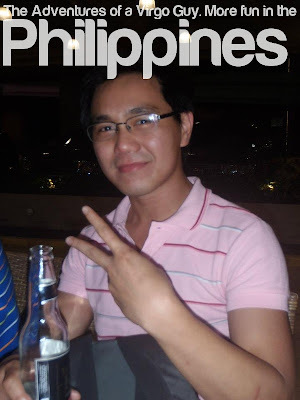 You can go to Morefunmaker.com, a website in which the only purpose is to 'stamped' the photos with 'More fun in the Philippines' slogan. One cool feature is you can add a sentence before the slogan just like the first picture of this post. All you have to do is (1) upload picture (2) type the sentence or phrase in the box before the slogan (3) choose which position the caption be placed (4 which is optional ) type your desired name and (5) clicked the submit button. After a few seconds (depends on your internet connection) you will now see the finished photo. If you like you can just upload a photo and type a funny phrase or sentence, I'm sure you encountered countless funny pictures with this slogan. But for the netizens out there who seriously want to contribute to DOT's campaign, this is another way you can do. Cheer yoh. so ikaw pala yan virgo. mukhang lasing ka na dito ah.